With over 50 years of fabric manufacturing, Dolphin are passionate about what can beachieved with a combination of art, science and skilled craftsmen to engineer beautiful awnings. Our design mantra is to seek simplicity and ease of use, through experience we have evolved many methods of deployment over a range of sea and land based projects. We seek to make best use of what is already in place to support the structures and in many cases adding little or nothing to what currently exists. A further core goal is to produce structures that protect the client and guests, the boat and provide a cooler, more enjoyable environment along with reducing the noise and power consumption associated with climate control systems. 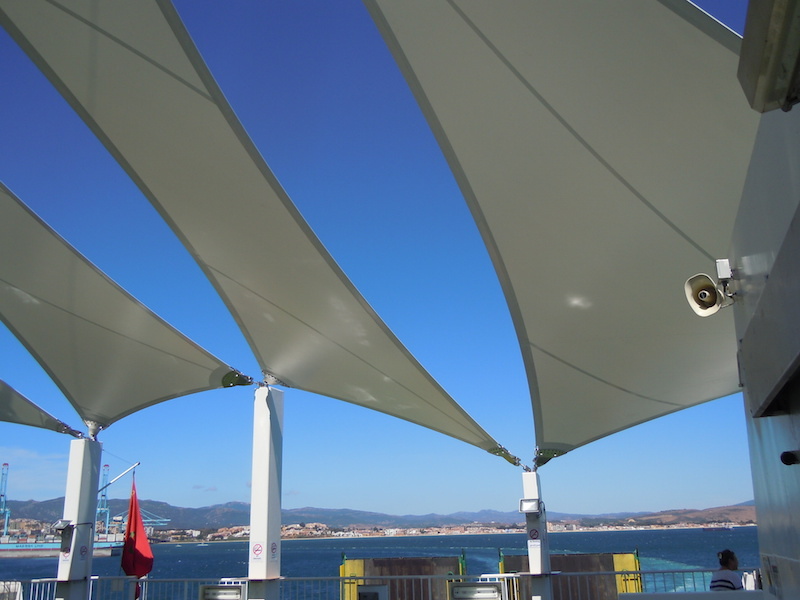 Offering on average 2 1/2 times the coverage of a Bimini, our unique Tensile Awning offers the best solution for providing protection from the weather when at anchor or lying along side the dock. The Yacht Tensile Awning allows owners and friends to relax on deck without being affected by the scorching sun or damp rain. 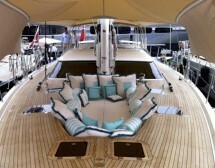 It will also allow the crew to carry out their duties in comfort. In sunny climates not only will the awning offer more comfort above deck, there will also be a noticeable drop in temperature below as well. It could mean the difference between running the aircon (and generator!) throughout the day or sitting in silence knowing you are using less fuel and will not have to service the systems as much. 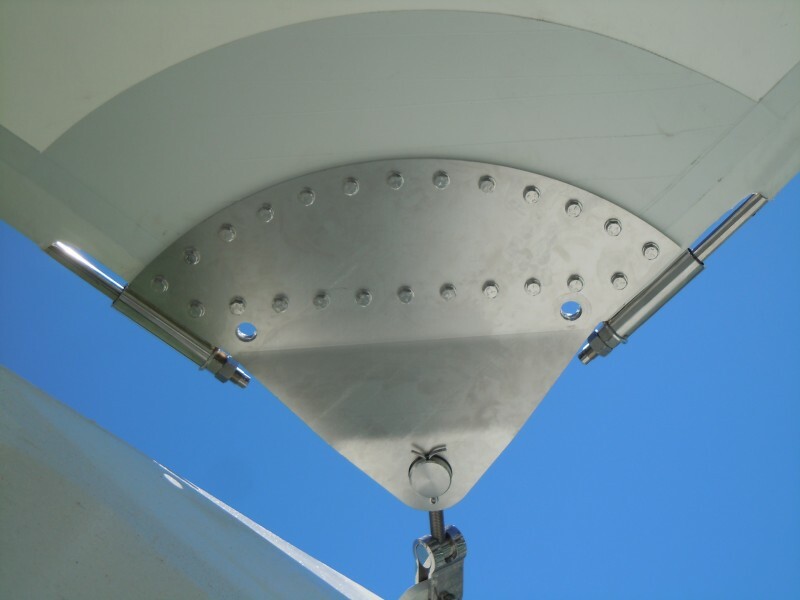 The awning is designed to use existing fixing points on the boat, doing away with the need for additional battens or frames. Using an advanced fabric like WeatherMax80, the awning is very light and easy to store. Once deployed, the awning will help protect the owner, guests, crew and the boat. To see just how easy the awning is to set up, watch this short video. In realtime it took less than 6 minutes! 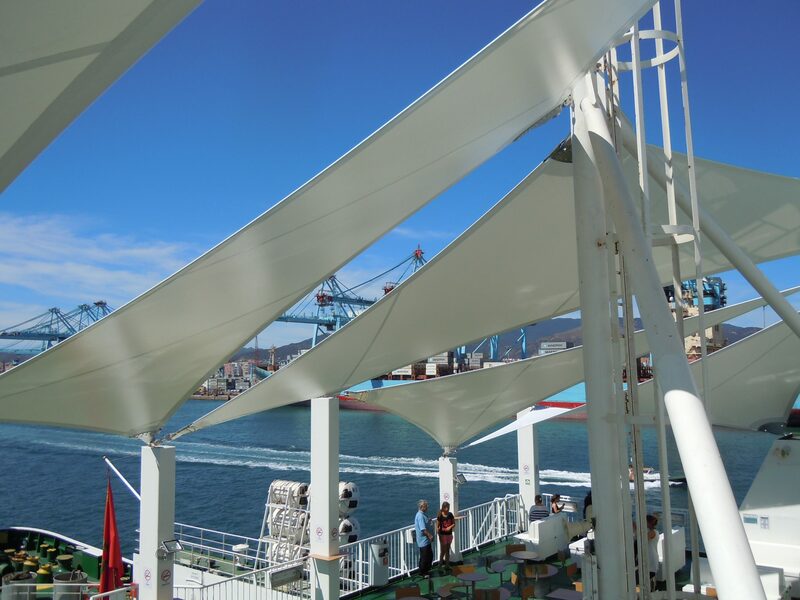 This video shows how the advanced software is used to create 6 awning for this Spanish ferry. For more details of how we create these stunning Tensile Awnings please contact Jon Sturmer.